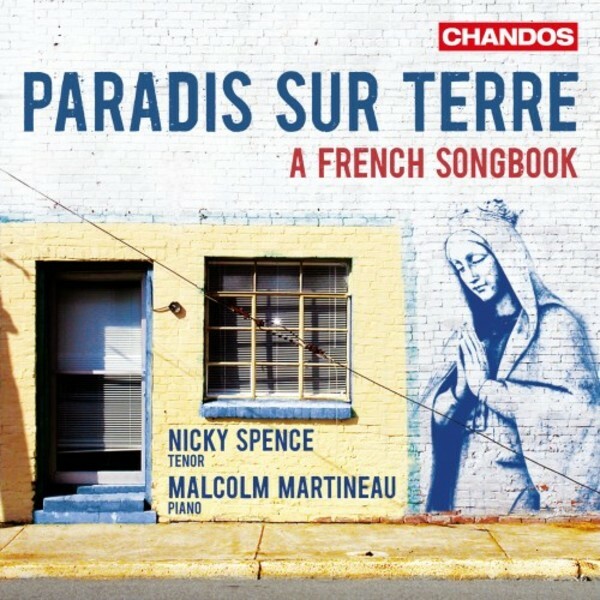 Young Singer of the Year at the 2015 Opera Awards, Nicky Spence joins the highly praised accompanist Malcolm Martineau, just honoured with an OBE, in this unique collection of French songs from the turn of the last century, a repertoire that was very rarely performed in public at that time, the concept of the song recital still in the future. But private salons offered room for noticeable stylistic experiment, as we can tell from the striking advances which Debussy displayed in the songs he composed within the first ten years of his career. The Verlaine settings recorded here may have been sung in the house of his wealthy friend Ernest Chausson, also a composer, and they were admired for the novelty of their musical language. Both Lili Boulanger and Andr� Caplet would class themselves as disciples of Debussy, borrowing his enriched harmonic vocabulary and adventurous piano style to write songs that are essentially beyond the range of the amateur. C�cile Chaminade, meanwhile, found a fluent style that owes more to Gounod and Saint-Sa�ns. She was fully at home and celebrated in the salon world, as both composer and pianist.